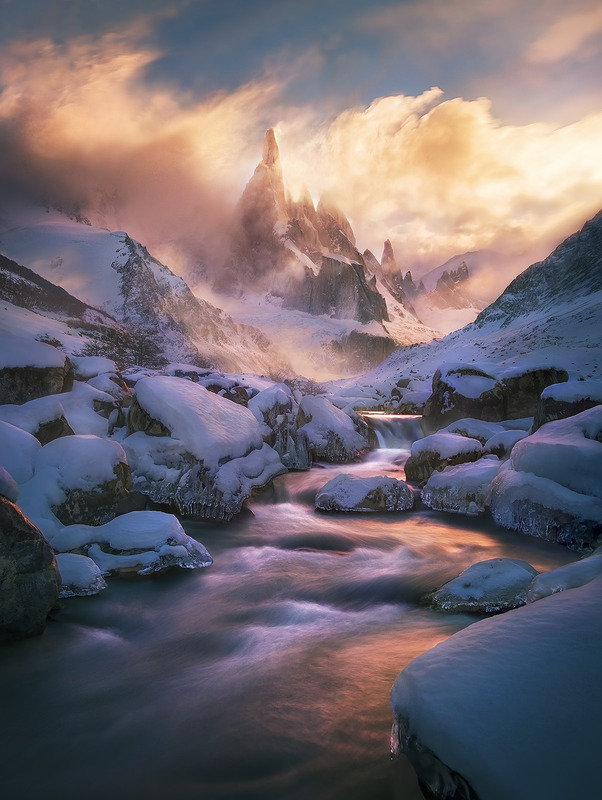 This was probably the most memorable display of light and atmosphere I've ever had the good fortune to capture as a photographer, as the summit of the world's most impressive spire, Cerro Torre, appears out of the winter storm. . Photo © copyright by Marc Adamus.